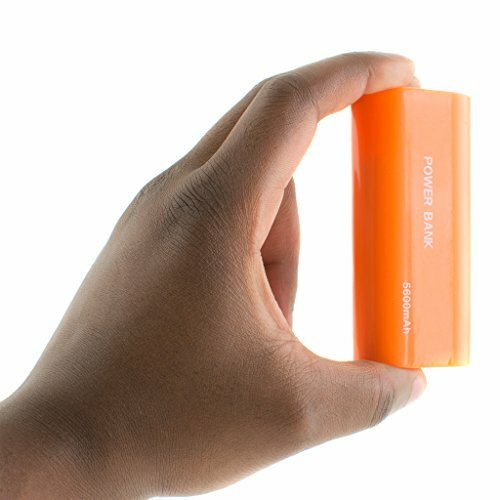 This is quite simply the best power bank! It looks great and is small enough to easily carry around whether it's in your bag or even your pocket! It comes already with a bit of charge in it so you can could use it straight away it has a USB lead that fits from the power bank into your phone it then lights up blue to let you know it's charging, within minutes my phone will back up and running. It is comparable with nearly every phone whether it's a Samsung an iPhone a HTC I've tried it with all of them and they all charge. It has a built in high capacity lithium battery so you can get the most out of charging, here's the features of this. • Mini 4400mAh; Delivers a full charge or 9 hours of additional talk time to your iPhone 5 / 4 / 4S / 3G / 3GS. On most other phones, benefit from 1 full charge or 90+ hours of audio playback.